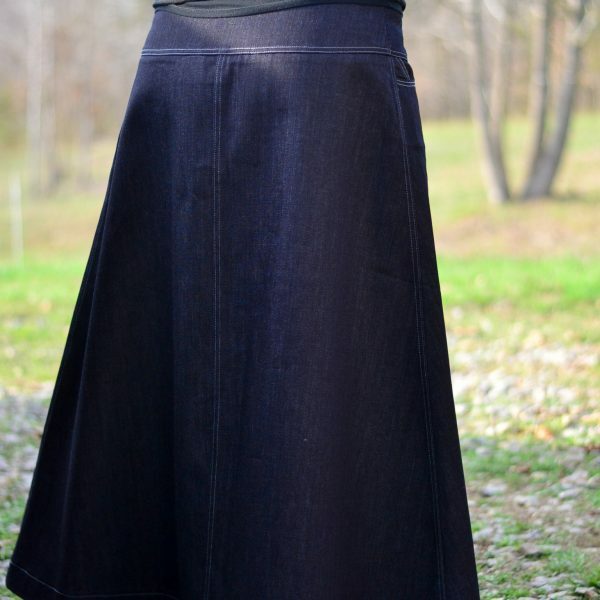 View cart “Errand #17 Skirt– 50″ waist Unhemmed” has been added to your cart. 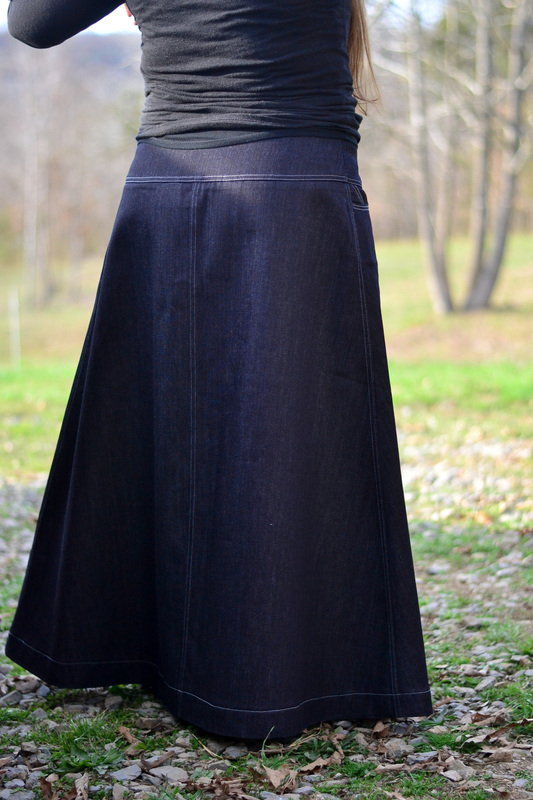 Beautiful dark denim wide waistband skirt made in Bristol, TN! 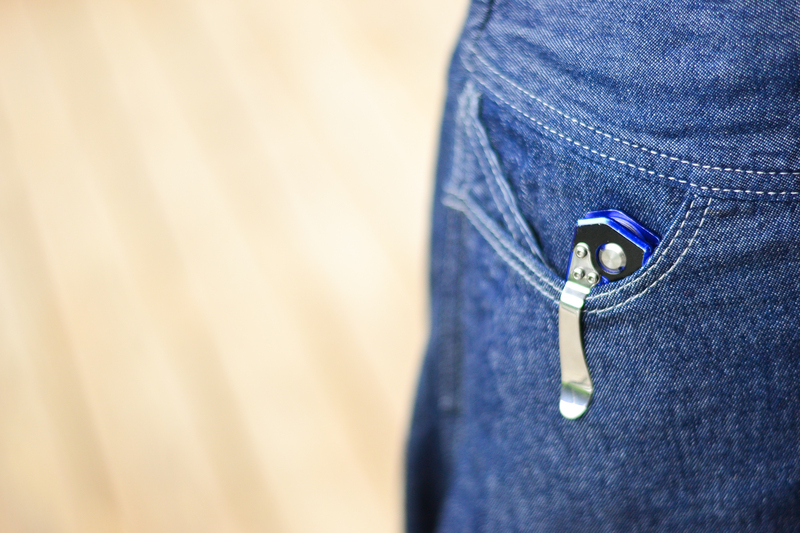 Designed by Olivia for function and flattery, with quality to last a lifetime. 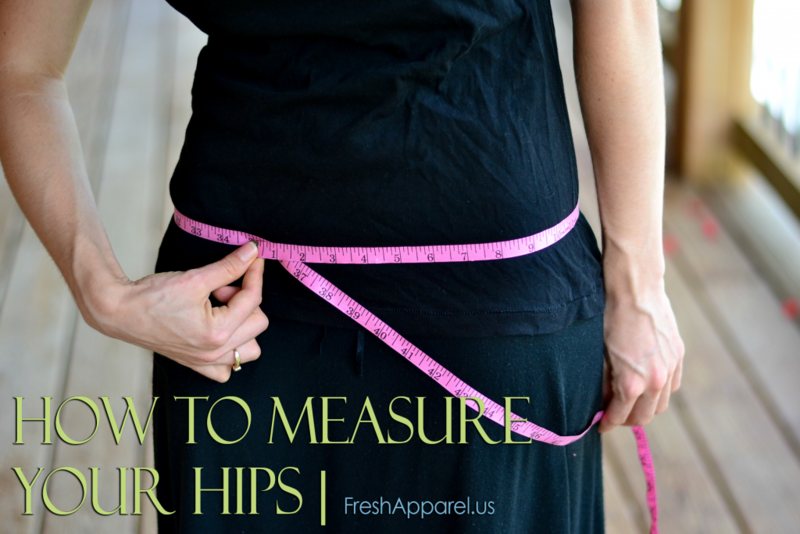 This skirt has a waist/hip of 35″. 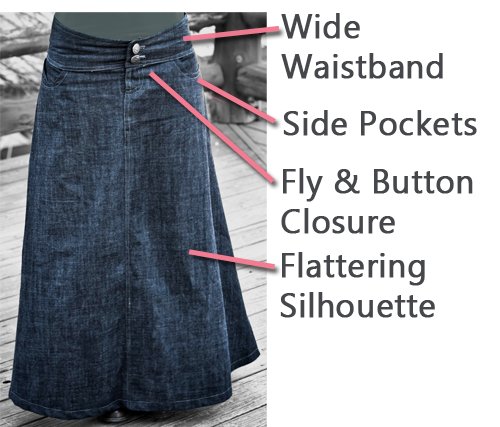 This skirt is unhemmed so you can do it yourself, take pride in your custom work, and save on the price. 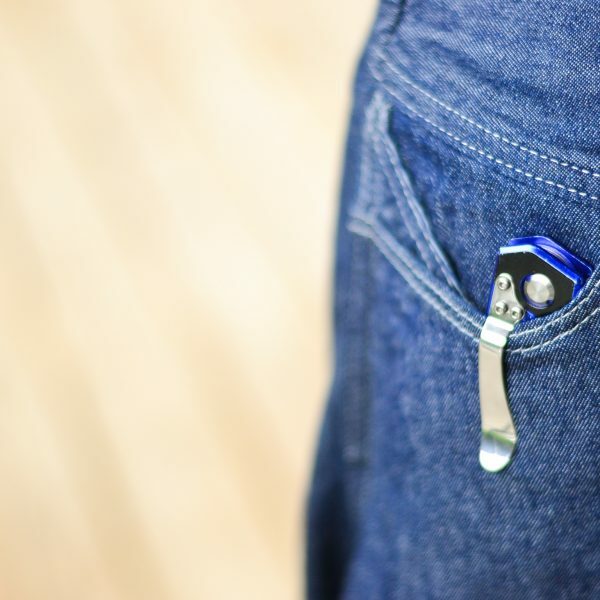 For custom hemming, please click here. 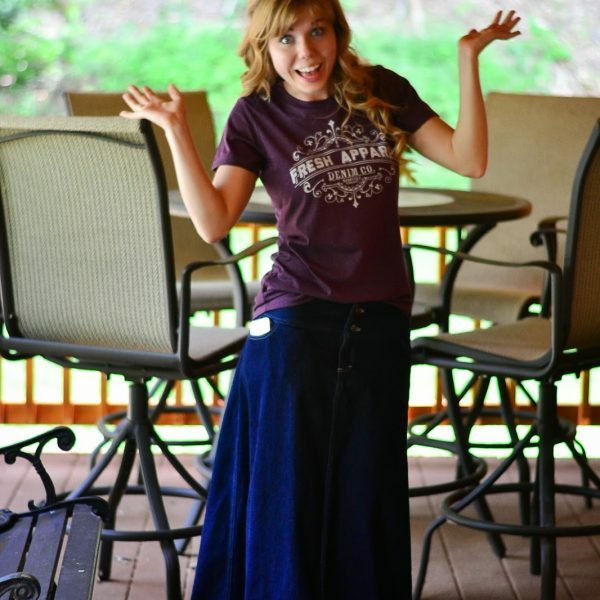 I love this skirt! Just ordered a second one! 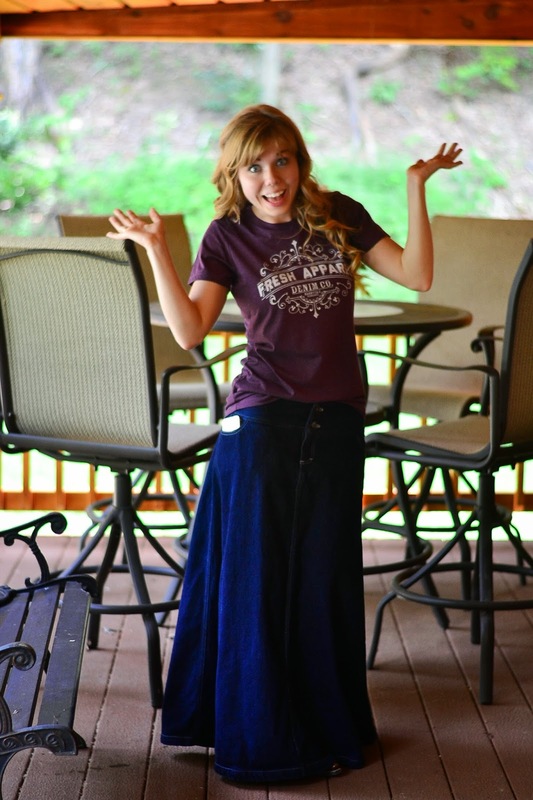 It’s comfortable, modest, flattering, and stylish…what more could you ask for?!? 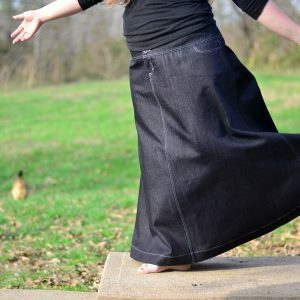 And if you know how to sew, or know someone who does, the unhemmed price is a SUPER deal for a high quality, American made denim skirt! !